One of my favorite times of the year, spring. Beautiful flowers are abundant and one of my favorites is the peony. 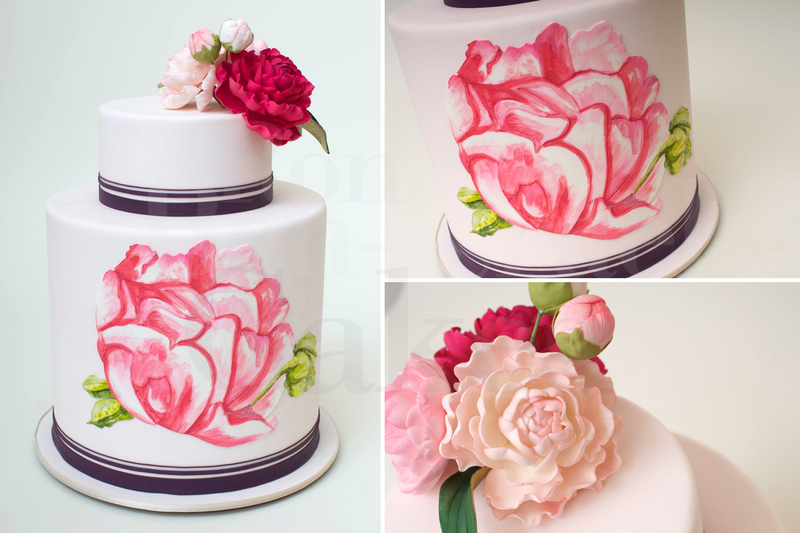 Here is a wedding cake we did for Patricia and Doug, their invitation was inspired from a painting Patricia’s best friend made for her of peonies and they had it scanned and was used as part of their invitation. using Patricia & Doug’s invitation for the coloring, Jason is doing a watercolor technique on flat sugar to later be applied on the cake. Peonies are my favorite flower! 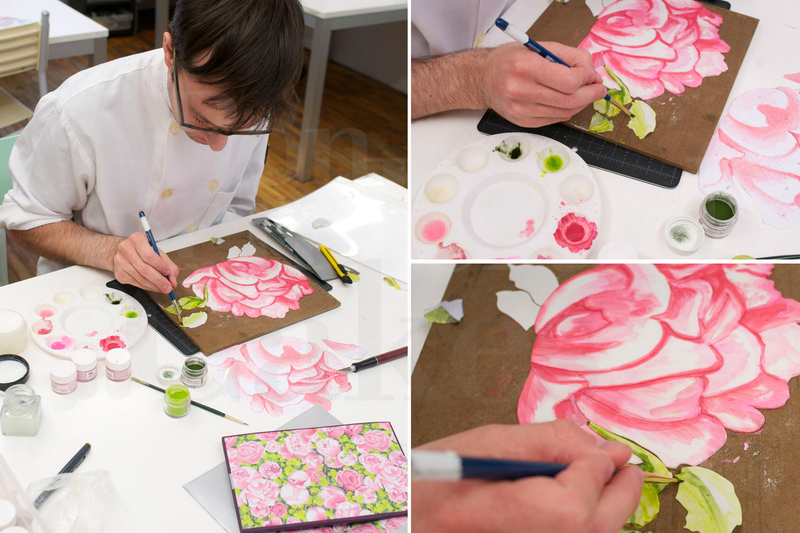 Do you think the water coloring technique is a newer trend for wedding cakes? I am seeing it a lot lately. Uhhhhh that cake is dope as they say.